Snapchat is a wildly popular app for sending photos and videos that are only visible for a short period; up to 10 seconds. To get started, sign up with your email address and phone number, and then add friends from your contacts list. The app is simple enough to use but here’s some additional tips to get more out of it. Instead of just sending pictures, you can also send short videos to your friends. To do so, tap and hold the take photo button until a black circle appears and a red line starts to progress around the inner circle. This represents the length of the video recorded – also up to 10 seconds. Let go of the button to stop the recording. It will now playback, so check it’s OK then send by pressing the arrows. Swapping between the camera and other menus can be done by swiping instead of pressing any buttons. Simply swipe from left-to-right to access the list of snaps sent to you or from right-to-left to access your list of friends. 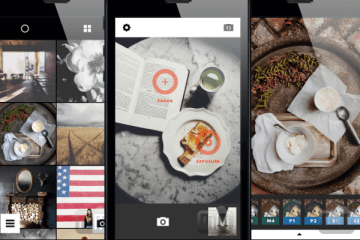 Image filters are popular in apps like Instagram, and they’re also available in Snapchat. But first, they need to be enabled. Access the list of snaps and tap the cog icon. From here select Manage beneath the Additional Services heading. From here turn on Visual Filters. Now make your way back to the camera mode and take a new picture. You can then swipe to the left to access the different filters. Text. Now take a new picture, tap the screen and type your message, then tap the “T” icon at the top to see your words in the ever popular Helvetica font. Tap once for left aligned or a second time for center aligned text. If you don’t like either option, tap the “T” a third time to revert to default. Once you’ve taken a snap you can also draw on top of the image. Tap the pencil icon and then drag your finger on the image. The color bar on the side lets you change the hue but it’s not obvious how to draw in black or white. To add black, tap the bar and drag your finger to the bottom left corner or to add white tap the bar and drag your finger to the top right of the screen. You can then let go and draw on your image with your newly selected colors.